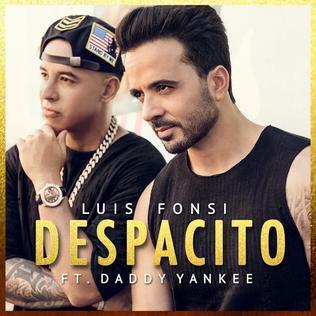 Two Puerto Rican singer united to sing "Despacito". The song released in 2017 is just becoming a real hit and one of the best options to be the best summer song ever!. The song is turning in all radios around the world and its peaking all charts in the world, mainly in the latin countries and the most part of Europe and north America, adding Australia to the long list. Luis Fonsi and Daddy Yankee didn't expected that but the song is turning into one of the most heared songs around the world!